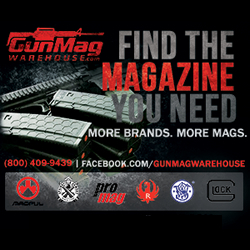 (Jackson, TN) – (ArmsVault.com) – Blue August, LLC, a creative marketing and public relations firm specializing in the outdoors industry, is proud to announce a new relationship with Lucas Oil Outdoor Line. Blue August will assist Lucas Oil Outdoor Line in public and media relations through brand awareness, product promotion and industry presence. 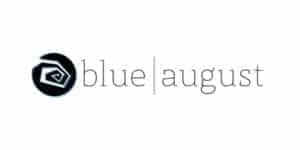 Blue August will draft and distribute product announcements and other company news, find and place product evaluation opportunities, and serve as a mediator between the company and media representatives. For 30 years, Lucas Oil has been producing the best line of lubricants and additives available anywhere. Through innovative product research and development, they continue to offer the highest quality products to satisfied customers around the world. Building on their long line of innovative, high quality oils and problem solving additives, Lucas Oil has expanded into multiple industries to continue bringing quality solutions to customers. The Lucas Oil Outdoor Line was launched in 2014 in response to requests from manufacturers looking for a product that would not burn off and could withstand both high heat and freezing temperatures. 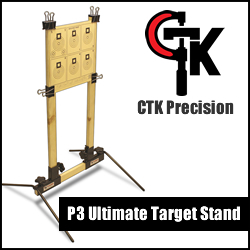 The Outdoor Line products are made for the hunter, sportsman or competitive shooter who is serious about their equipment and maintaining it properly. 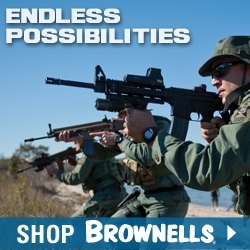 Lucas Oil’s unique proprietary formulas clean, protect and enhance the performance of firearms better than any other product on the market. The Lucas Oil Outdoor Line continues to expand with a growing number of wholesale distributors and retail partners. Domestic wholesale distributors currently include AmChar, RSR Group, Sports South, JMK Distributing, Zanders and Kroll International. 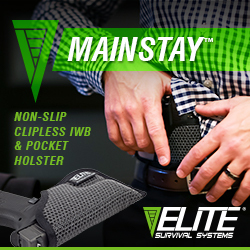 Their non-domestic wholesale distributors are Tactical Corner (Phillipines), Hailstorm (South Africa), Siam Precision (Thailand), and E F Imports (Australia). 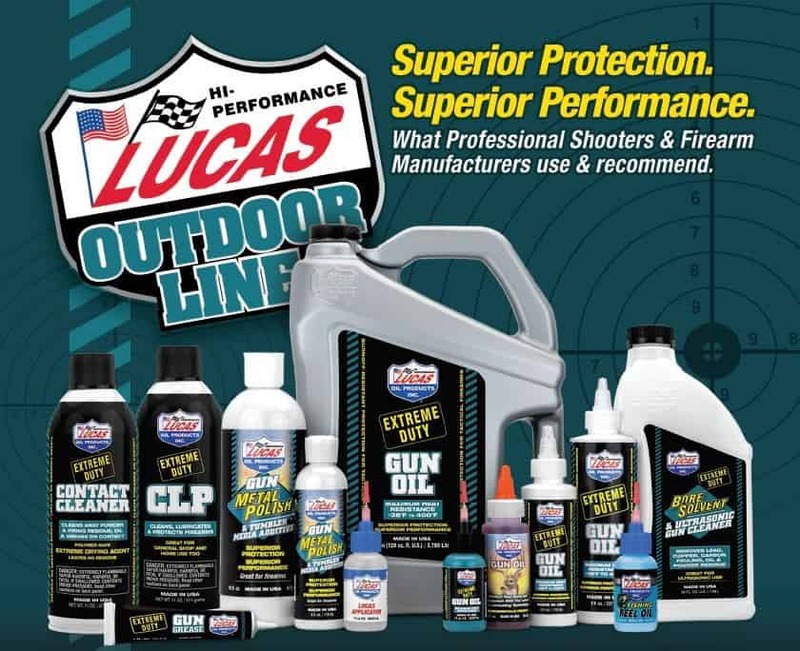 The Lucas Oil Outdoor Line can be found in the following online and large chain retailers: Brownells, Midway USA, BudsGunShop.com, Sportsmans Warehouse, Cabelas, Palmetto State Armory, Scheels, and Turners Outdoors. Lucas Oil Founder and CEO, Forrest Lucas, is passionate about giving back. His non-profit organization Protect The Harvest was created “to defend and preserve American freedoms and to support farmers, ranchers, outdoor enthusiasts, and animal owners.” The organization protects the rights of those who live and promote a self-sustainable way of life. To learn more, visit ProtectTheHarvest.org. For more information about Lucas Oil Outdoor Line, visit LucasOil.com. For press inquires contact Monica Arnold at pr@blueaugust.com. Follow us on social media at Facebook.com/LucasOilOutdoor or @LucasOilOutdoorLine on Instagram. Forrest and Charlotte started Lucas Oil Products with the simple philosophy of producing only the best line of lubricants and additives available anywhere. Since its inception, Lucas has steadfastly adhered to this corporate objective. Through innovative product research and development, along with aggressive marketing programs, Lucas has established itself as a top producer of oil, grease and additive products. The Lucas success story has been built upon hard work, an unparalleled line of premium products and an unwavering commitment to customer satisfaction. This single formula for success will continue to guide Lucas Oil Products as it grows in the years to come.